Distance Healing? Is that really possible? Yes it definitely happens! Joan told me she would be able to help even though she was in California, while we were in Chicago. She told me to ask my daughter if she was "ready to let go of her headache". My daughter replied "yes", and then Joan went to work. I was surprised at my daughter's willingness to try something so unconventional. That is how lousy she felt. Within 5 minutes, my daughter got up off of the couch, had no headache, no cramps and a huge appetite! It was an amazing transformation, and in a matter of minutes. If I had not witnessed my daughter's quick recovery, I would be skeptical, and think that healing from thousands of miles away is impossible. I cannot believe I am saying this, as energy work is something I do not totally understand. But, I can tell you it works! Joan Darlene is a very gifted, gentle healer. I would recommend her to anyone. Welcome. Thank you for taking the time to read about me and what I have to offer. This tells me you are searching to find someone to help you. In reaching out, your heart and soul have guided you to the right place. A place where you can receive the support you need to bring you back home to you! You already know what’s inside you. You just need a couple of keys to unlock your potential in order to awaken and realize that—WOW—Mother Earth has so much to offer! Your life can be rich and fulfilling when you come to living your true life purpose. As you have been divinely guided to this site, read what is written here and see if it resonates with you. Discover if I am the one to help guide you on your path to coming home to you! When I was a student seeking the light, my heart and soul yearned for so much more than just trying to make it through each day. My journey took me to many teachers, many modalities, and with each step I grew more and discovered more. Eventually I came to the place where I wanted to share what I’d learned with others. Now I am in awe each day as I see and feel the miracles that transpire in my students. Everything is about vibration, a magical energy that is here for each and every one of us. The higher your vibration, the more you can see, feel, and hear. 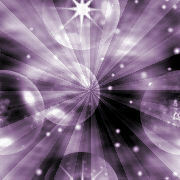 You can tap into your spirit guides to find out what your life purpose is here on Mother Earth. I’d like to shout at the top of my lungs from the highest mountain and tell everyone about this wonderful endless energy that can change your life. It is here, it is free, and it is accessible to everyone. We just have to come home to ourselves to discover what we have always had. I have found my life purpose, and I feel so very blessed with what I do for a living that I can’t call it work--I love it too much. If you feel drawn to my energy, I would love for you to contact me so that I can help you move forward on your path. Whatever you do, don’t give up! There is abundance here for each and every one of us. Most important, remember—it’s all about love. Love is the answer.